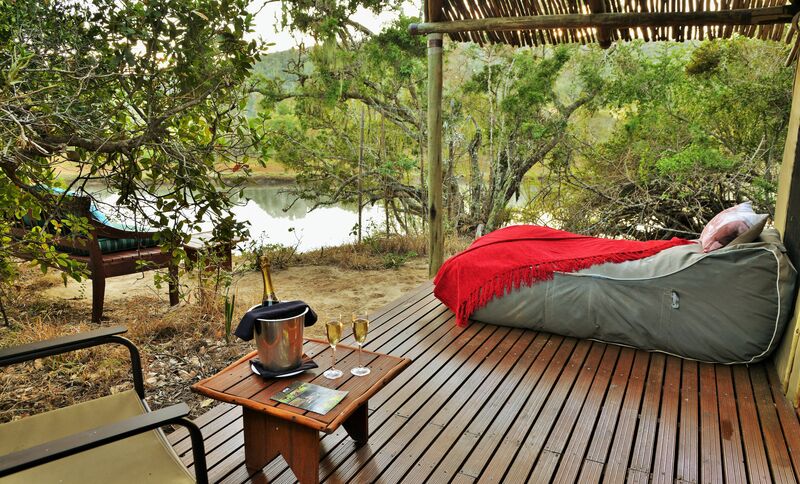 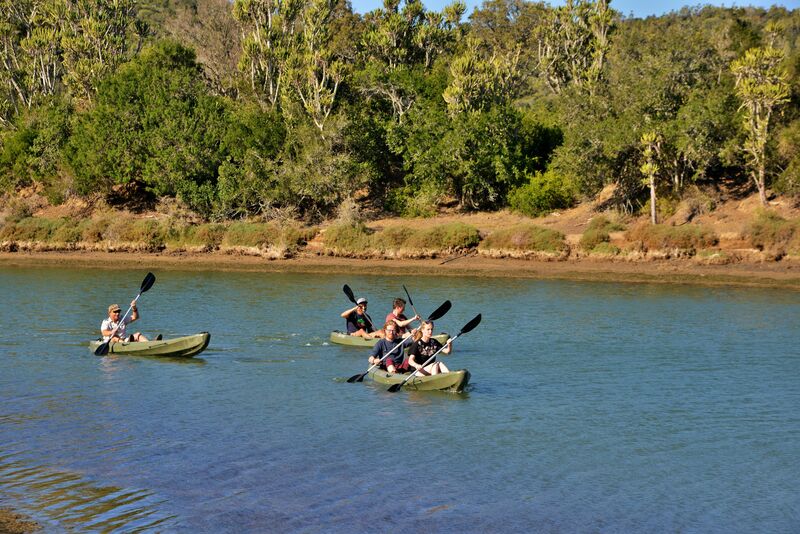 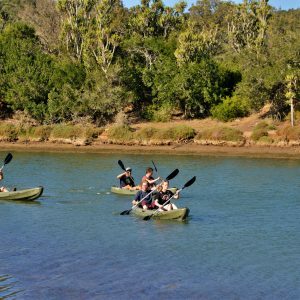 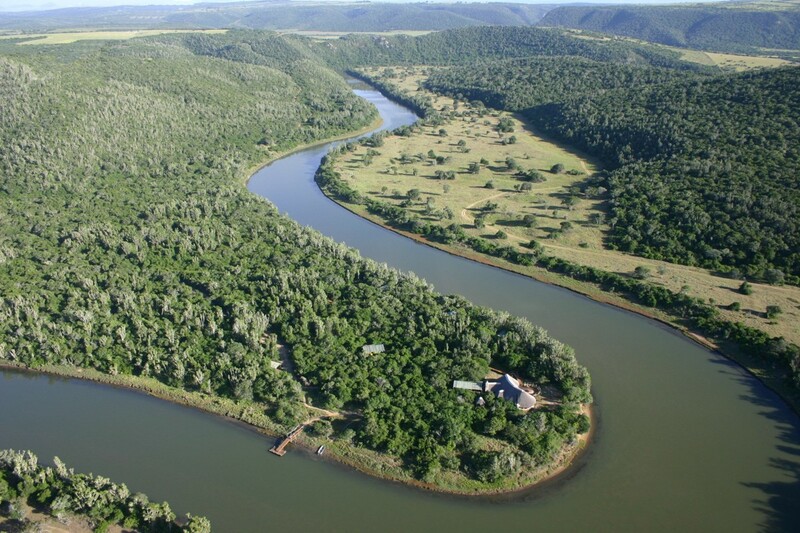 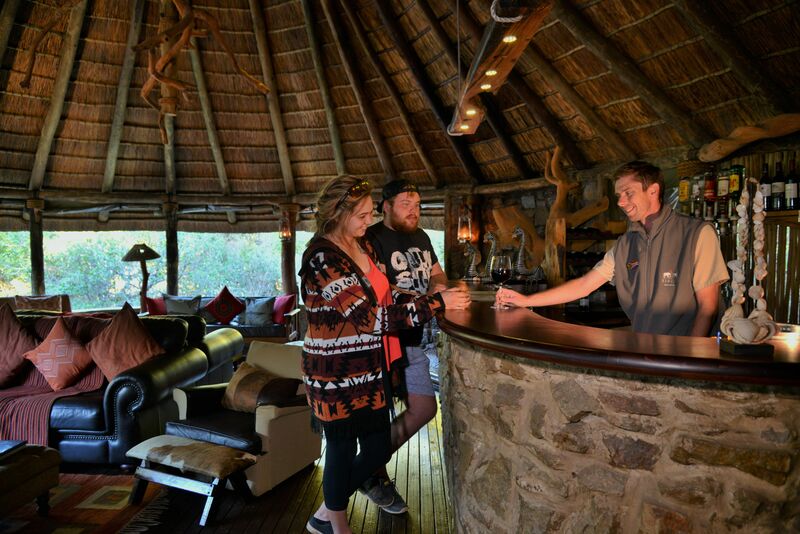 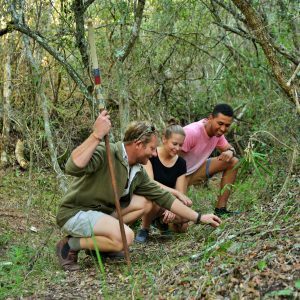 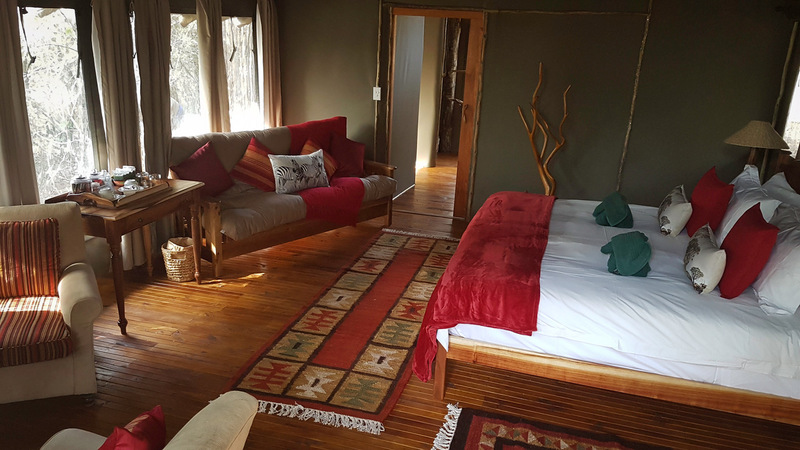 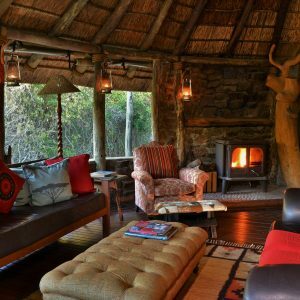 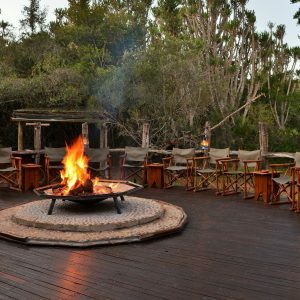 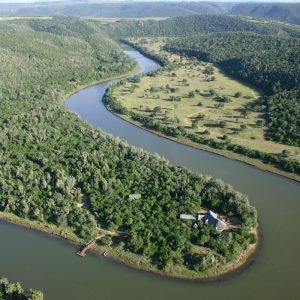 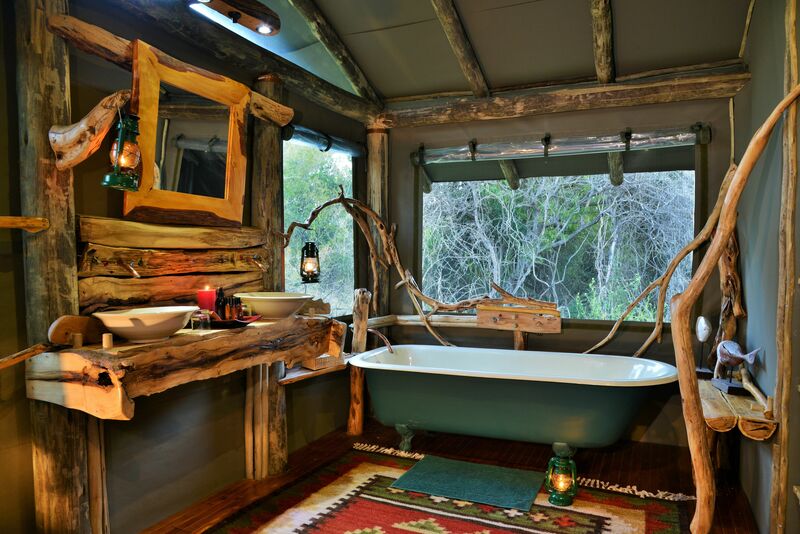 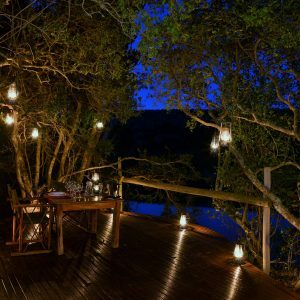 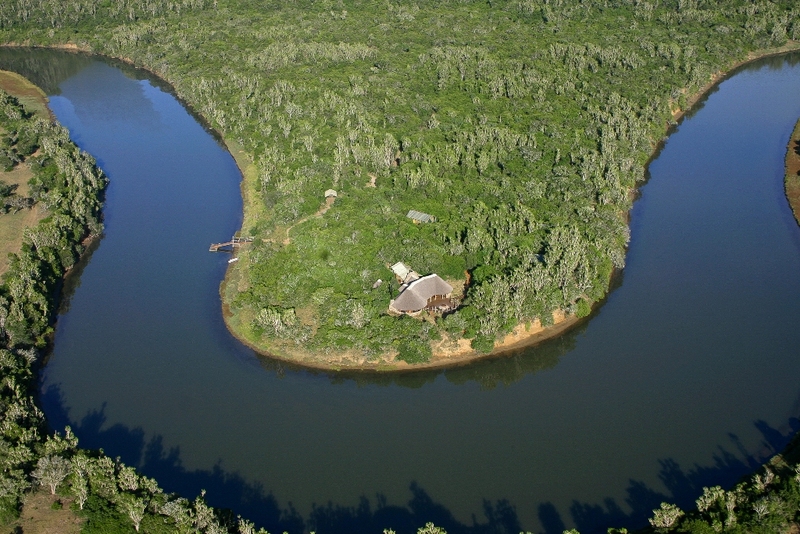 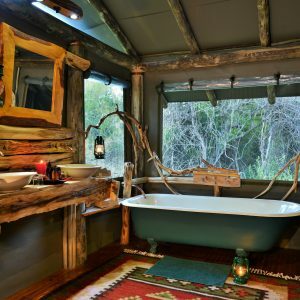 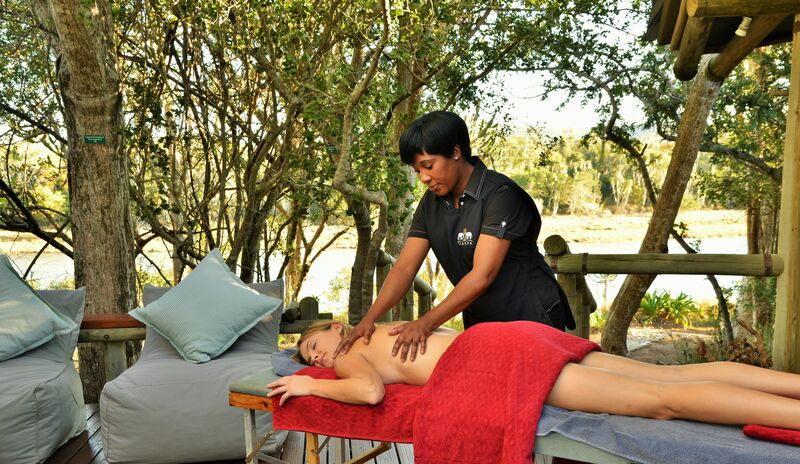 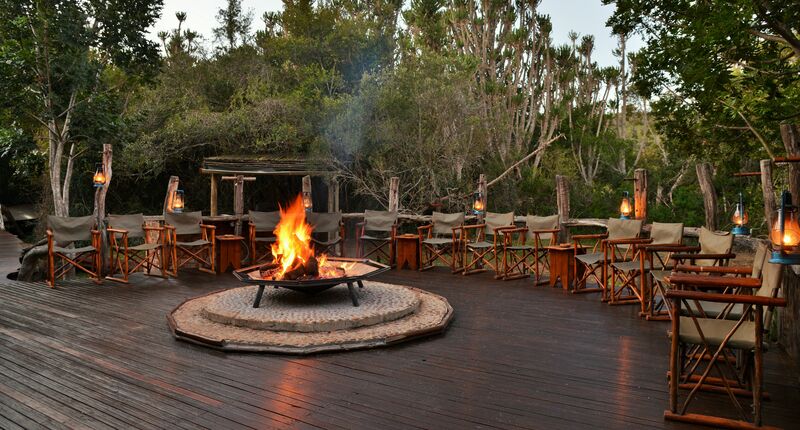 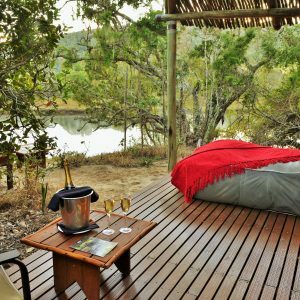 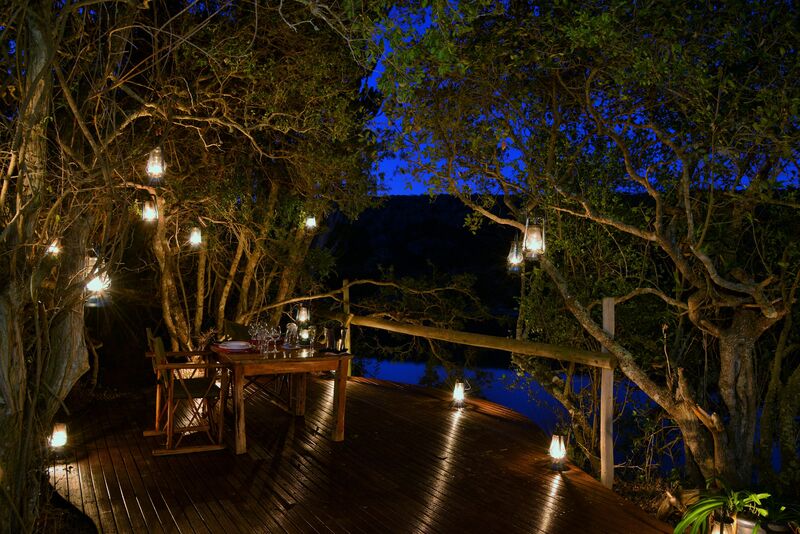 Perfectly situated on the banks of the Kariega River Estuary but tucked unobtrusively into the indigenous bush, Forest Camp offers a blend of essential comforts and warm, charming style. 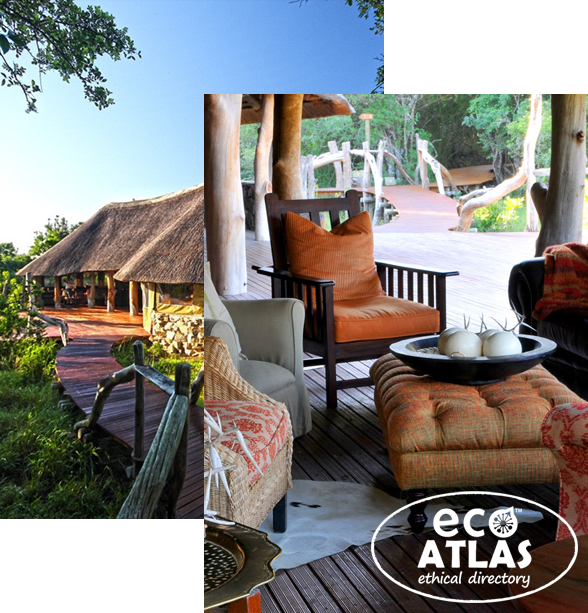 Richly coloured local textiles, in shades of rust and burnt orange, are used throughout in support of the regions weaving community. 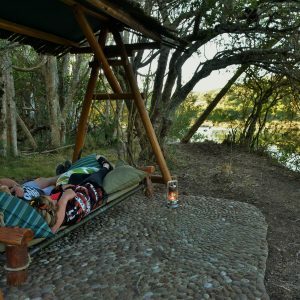 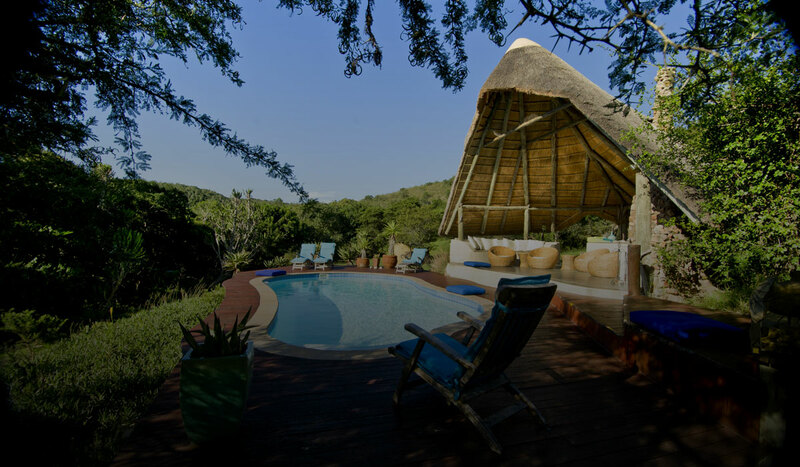 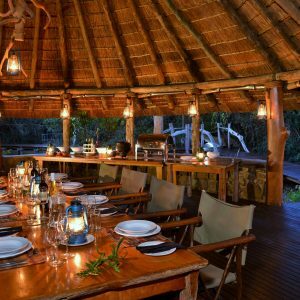 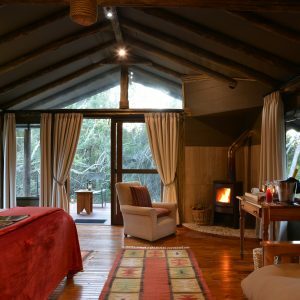 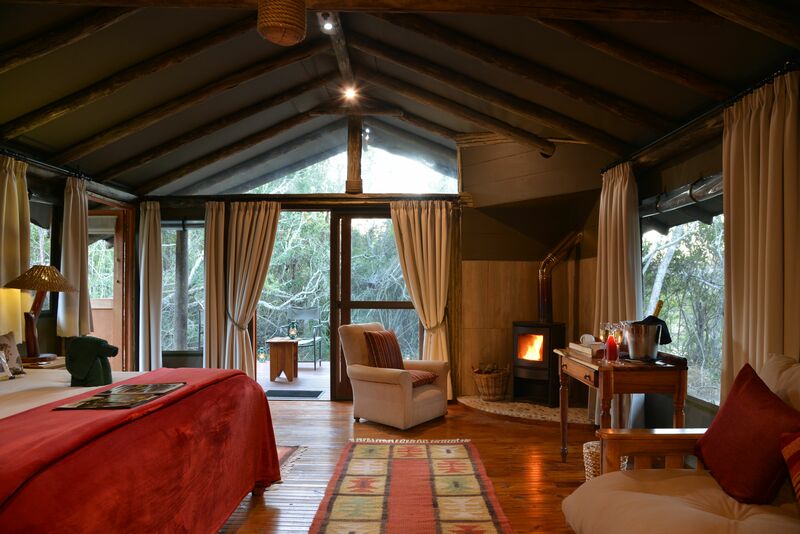 Forest Camp, with its long wooden walkways meandering through pristine thicket, has eight secluded tents with unique en-suite bathrooms and comfortable king-sized beds – complete with luxury linen and furnishings. 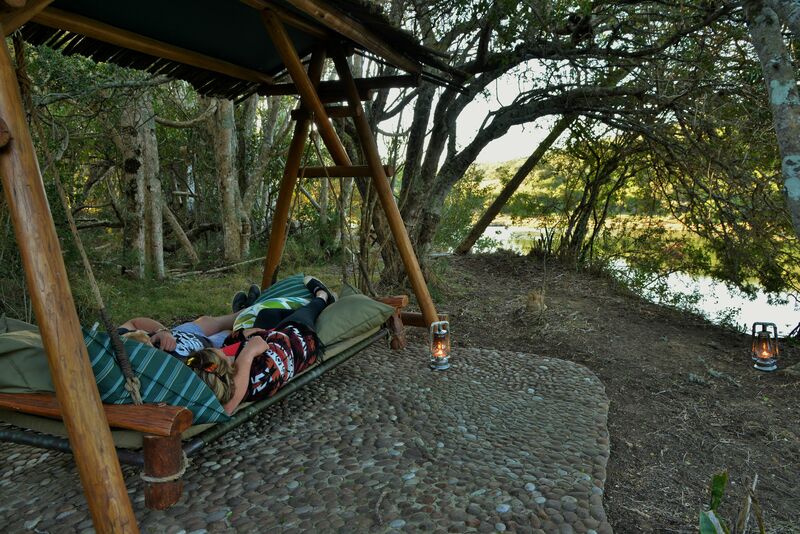 Four of the eight tents are equipped with a pull-out sleeper divan – available if necessary for a child sharing with parents. 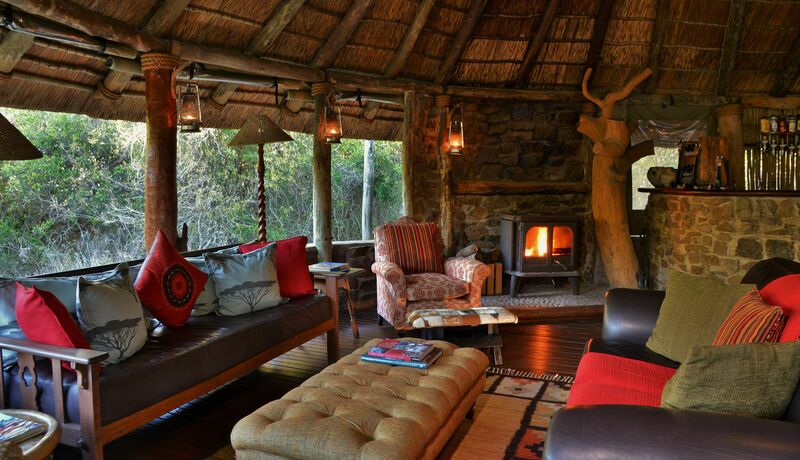 A cozy fireplace in each tent adds a personal touch and provides comfort on the chillier nights. 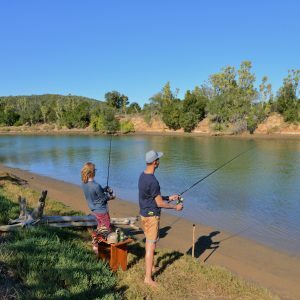 Children over the age of 12 are welcome. 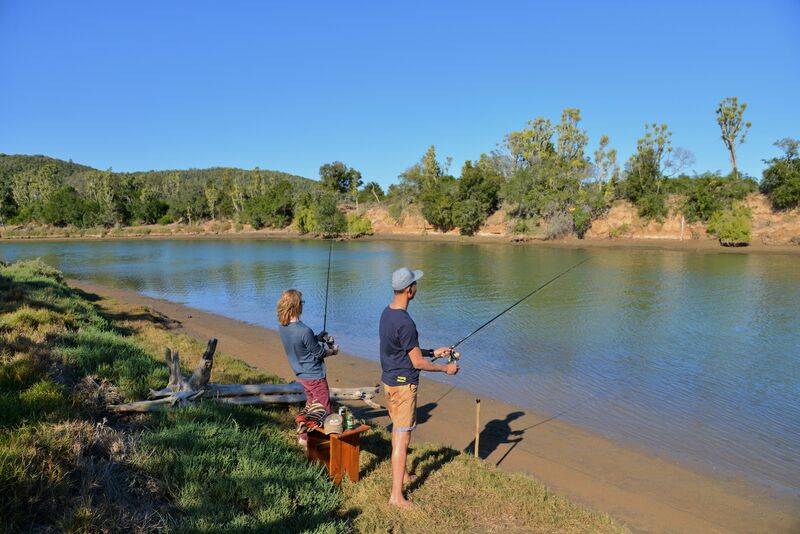 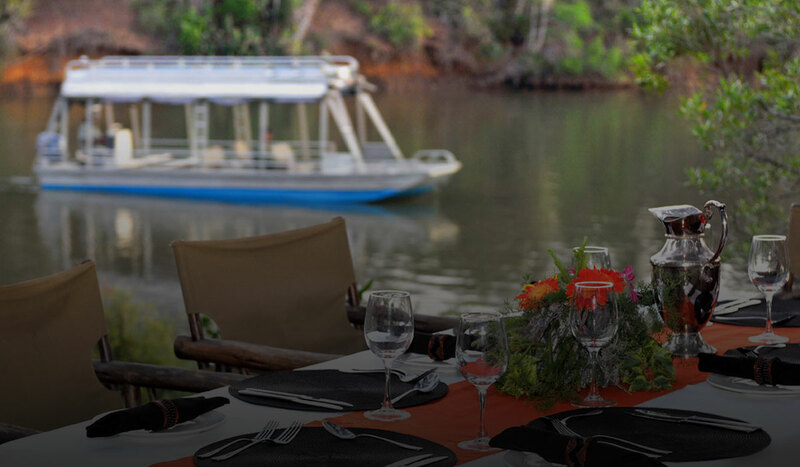 Designed with a light footprint to protect the surrounding riverine environment, the Camp affords views of game on both banks of the river and makes an ideal venue for weddings, conferences and small functions. 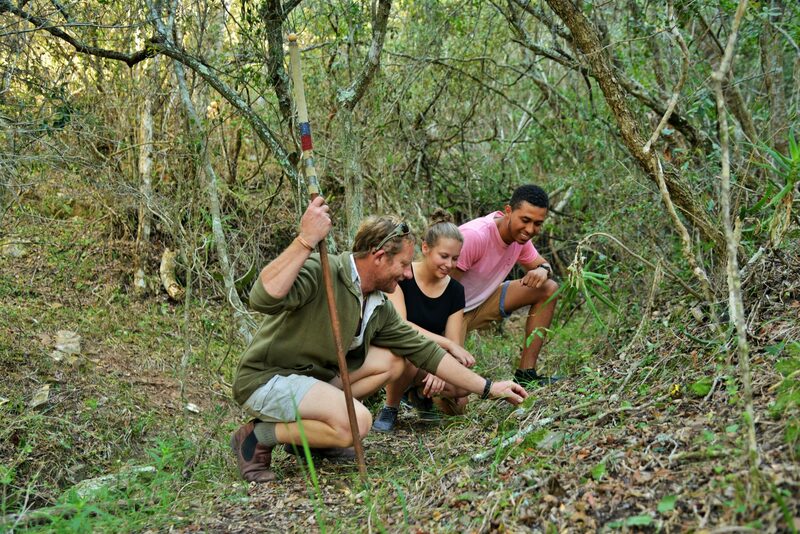 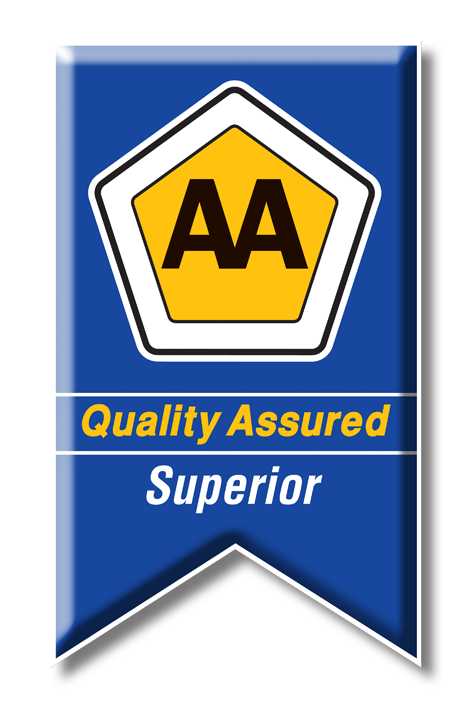 No destination can succeed without a loyal and dedicated staff. 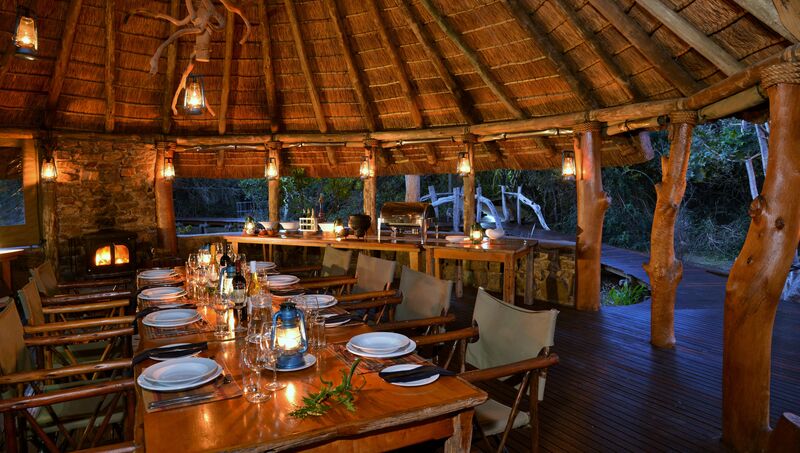 Delicious buffet-style dining with an African twist is an integral part of any visit to Sibuya. 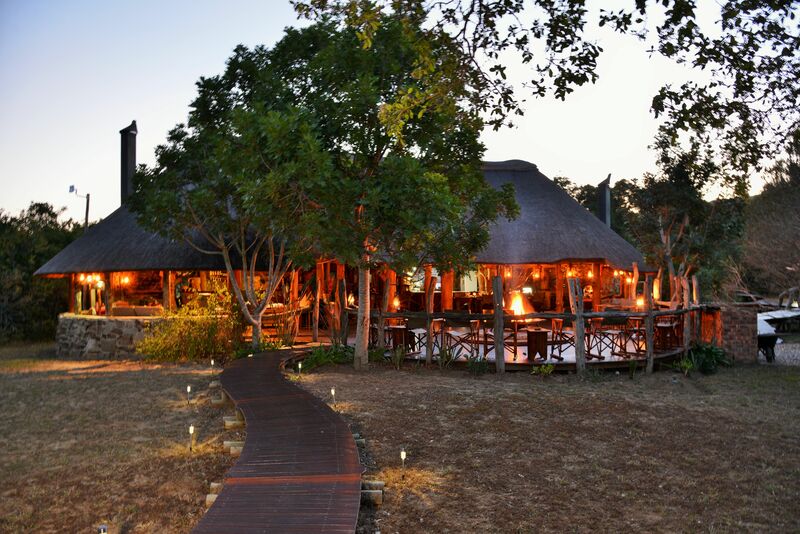 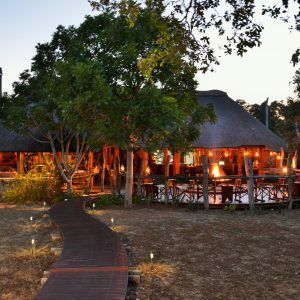 Served in the lapa, on picnics or under a canopy of stars in the wonderful open air boma, meals are accompanied with excellent South African wine. 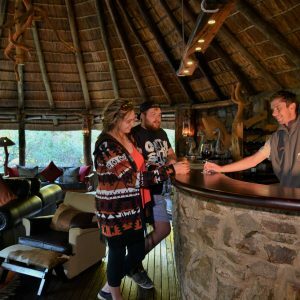 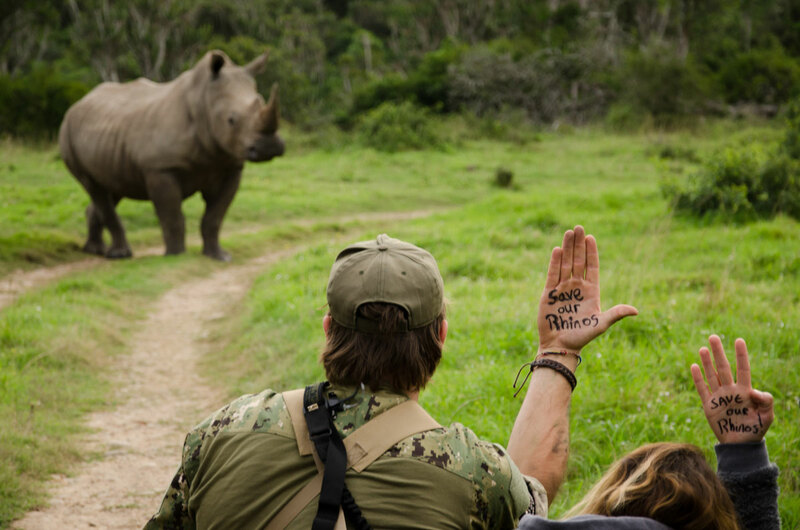 With a minimum of schedules and absolutely no pressure on guests to do anything other than relax, this wonderful Camp combines the finest in safari luxury with fabulous service and truly memorable game experiences.